About Alexandra Heep: The internet has allowed allowed Alexandra to maintain a semblance of life when encountering an unexpected, lingering health crisis. 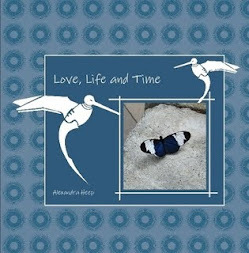 The Internet is a lifeline which not only allows her to remain connected to friends, but also survive, via writing.While Alexandra Heep is her pen name, she does not hide behind it. Instead, she used it to brand herself on the Internet and to create opportunities. Sometimes something good comes out of something not so good. That is what happened to me with Greta Van Fleet, a young rock band that burst on the scene in 2017. Alas, I only heard of and listened to them first a few months ago. I saw all these bad comments on Facebook about a band that "ripped off" Led Zeppelin. The “critics” (and I use this word loosely) mostly complained that younger people shouldn’t duplicate what better, “greater” people have done. 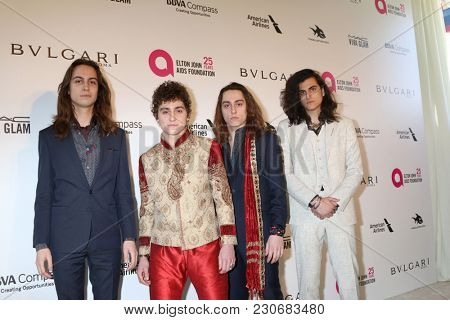 In this case, they begged the members of Greta Van Fleet to find their own style. I do wonder why people make those statements. Interestingly enough, these seemed to come from men in my age group. Perhaps, when they look at Greta Van Fleet, they see themselves in their youths and miss the way they were? What makes people cut their hair and trade in what they liked to something they don't? When do you decide to put on the comfortable khakis or sweat pants? All those comments did was make me curious, so we checked out free copies at the library of both of their CDs. From the first lyric on, yes, the singer reminded me of Robert Plant. The music is hard rock style, so I guess people could say the music is uninspired--as in, it's been done before. Ah, but there is more to it. What are you supposed to do when your vocals sound like Robert Plant? Also, what does it mean to find your own style? The members are barely older than kids. They were born in 1996, 1998 and 1999. Young enough to be Tom’s grandchildren! They formed when the youngest was just 12 years old. They dress in seventies-style clothing, and 3 out of 4 sport long hair. I am not sure what people are complaining about. While people can look any way they want, I dislike the style of today. If they did the music of today, then I am sure that people would complain that today's people have no taste. Hah! The more I listen to their music though, the less it reminds me of Led Zeppelin. Also, they write their own songs. While you can't believe everything you read on the Internet, Robert Plant himself allegedly likes them. As it is, they have gazillions of followers, and they're touring worldwide, so they have masses of people who like what they do. Are we going to see them? Hell no, but we are waiting for a third album. If you want to listen to them, they have a lot of stuff on YouTube, including one of my favorite songs, the Safari Song.